The heritage-listed Assistant Lighthouse Keepers' Cottages at Byron Bay feature stunning coastal views. They’re a great choice for a weekend getaway or longer holiday. Minimum 3 night stays. Where shorter stays are available, a surcharge applies. Park entry fees are not required to access the cottages. Check in 1.30pm, check out 9.30am. Hourly fees may apply for late check outs. Ever dreamed of living in a lighthouse? Now you can get a taste of it with a holiday in the award-winning Assistant Lighthouse Keepers' Cottages in Cape Byron Conservation Area. With Byron Bay just a short drive away, or a half hour walk, it’s a perfect place for a coastal getaway with family or friends. 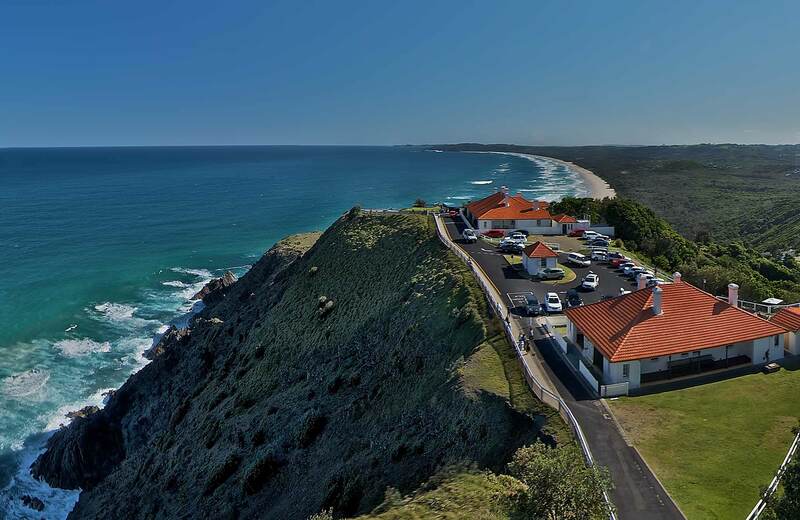 Lots of accommodation in Byron Bay boasts spectacular views and these cottages are no exception, featuring an almost panoramic view that takes in golden beaches, dramatic coastline and the iconic lighthouse. Although popular with visitors during the day, when the sun goes down, you’ll have the area all to yourself. Sunrise over the ocean is a spectacular sight and well worth waking up for, at least once on your holiday. The cottages have been lovingly restored to retain their heritage charm, with the addition of modern conveniences to ensure you holiday in style. After a day of swimming, walking and exploring cook up a feast and toast the lighthouse keepers of days gone by.